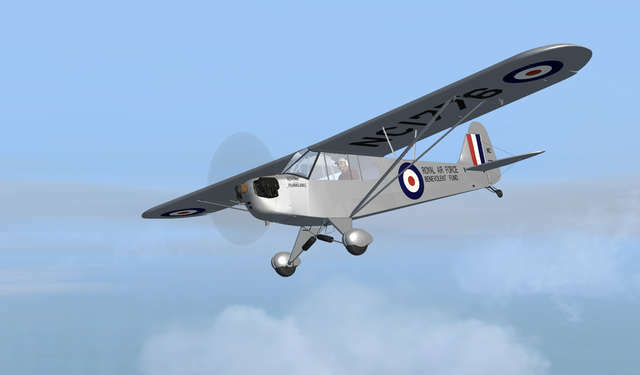 The J-3 is a small, simple, light aircraft that was built between 1937 and 1947. 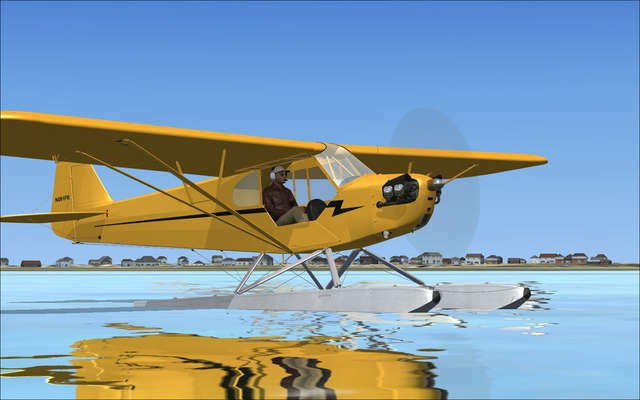 With tandem seating, it was originally intended simply for flight training, but went on to become one of the most popular and best-known light aircraft of all time. 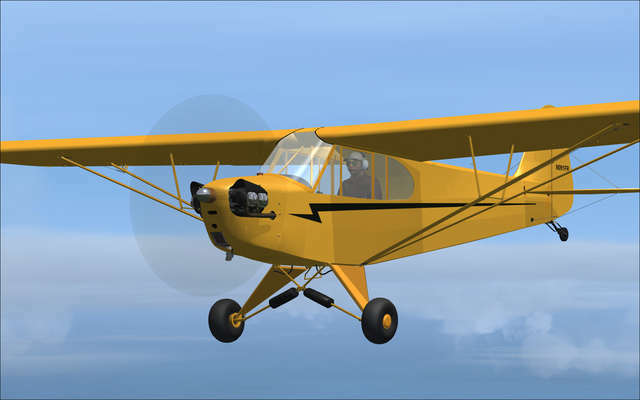 The Cub's simplicity, affordability and popularity has enabled it to retain a strong presence in General Aviation right up to the present day, around the world. 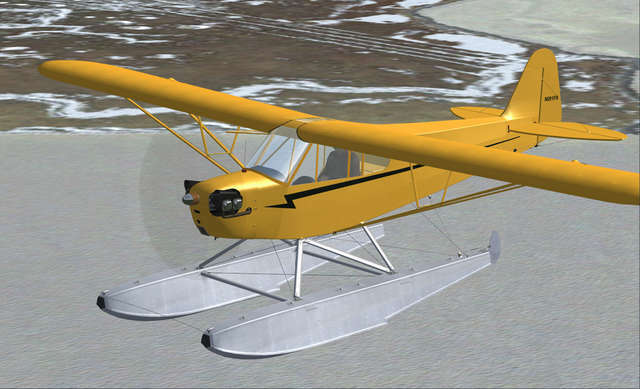 So popular is the aircraft that some companies continue to produce close imitations of the aicraft in kit form. 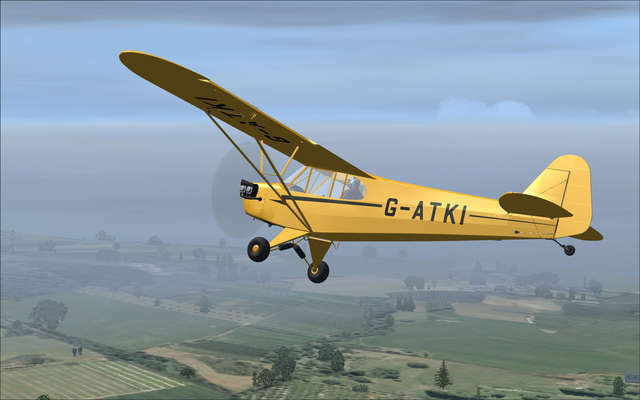 Of special note is the 'Flitfire' variant in this package, the name being a derivative of the famous 'Spitfire'. 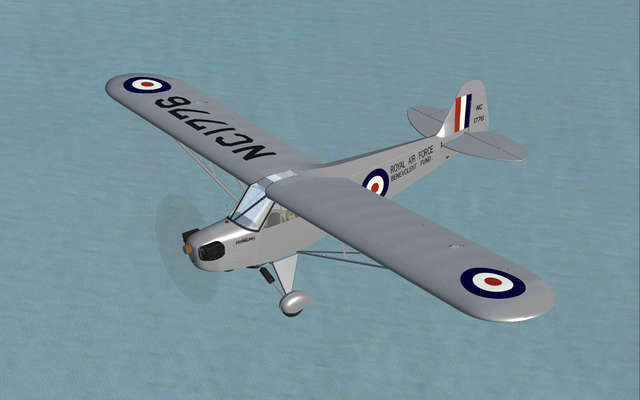 Some 49 aircraft were assembled in the US in 1941 and painted in British RAF roundels, and subsequently raffled off in order to raise money for the RAF Benevolent Fund in aid of injured Britsh military flyers (these were not actual RAF aircraft). 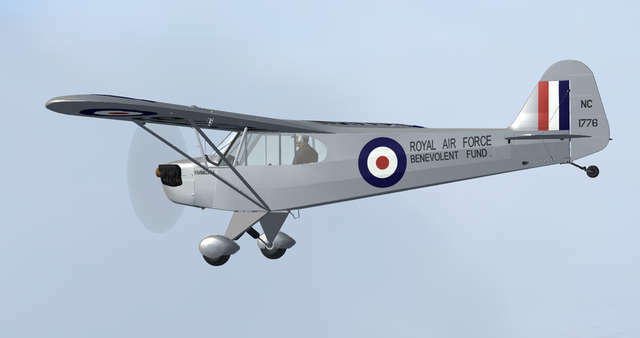 The fund-raiser was a great success. 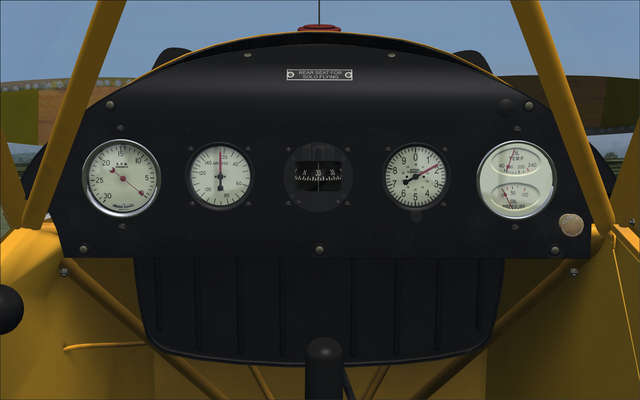 They came with a range of engines, and in this package you will find both Continental and Franklin powered versions. 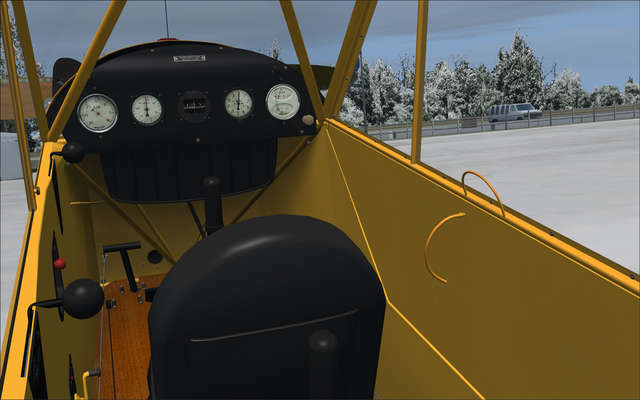 The Franklin powered aircraft also has the three-piece windscreen, which was standard on early J-3s. 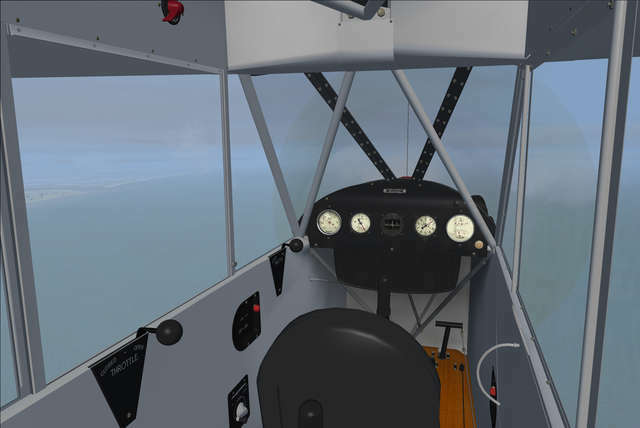 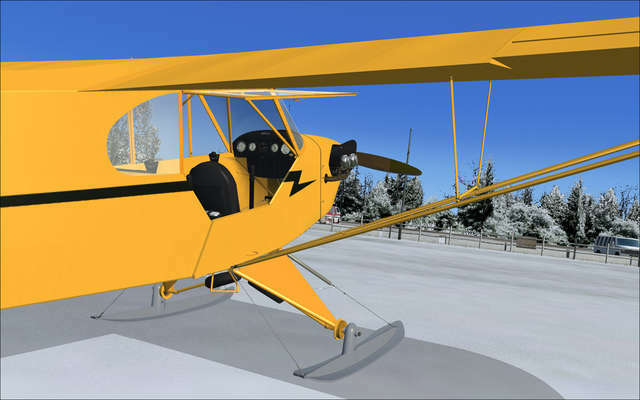 This FSX package will enable you to enjoy your flying in any season, in any environment, demonstrating the flexibility of the design and illustrating even more of the many reasons the J-3 is still such a popular aircraft today. 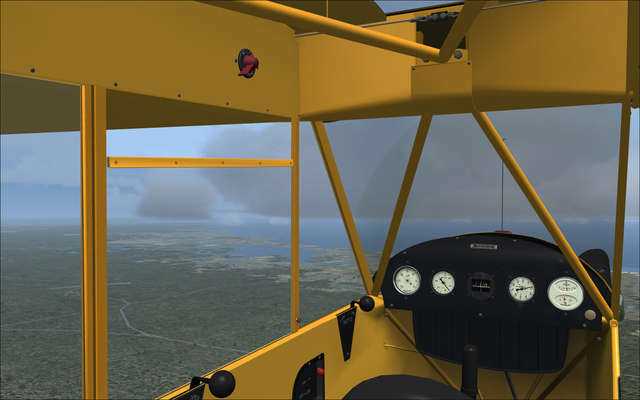 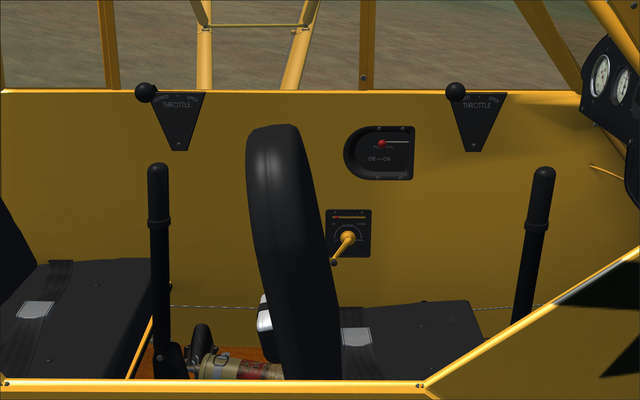 The Manual and Paint Kit can be found in the "...Microsoft Flight Simulator XSimObjectsAirplanesJ-3" folder. 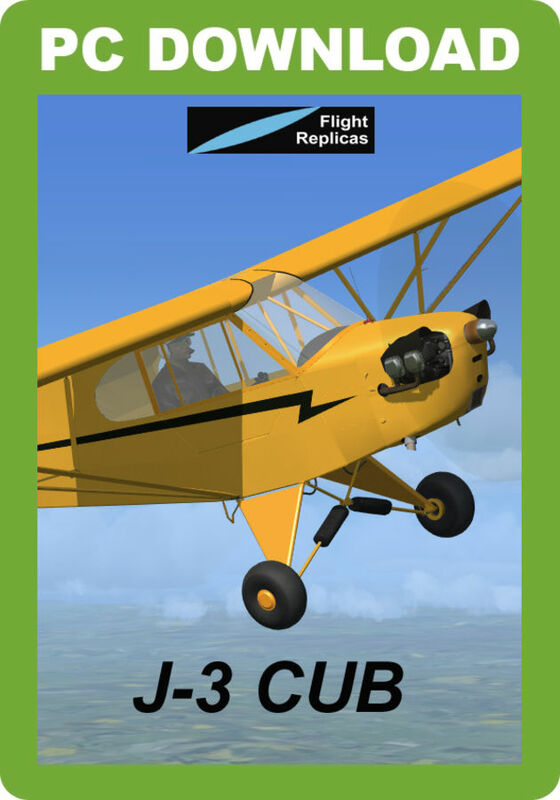 Despite pre-release testing, a few customers have found that the Cub will bounce while on the ground. 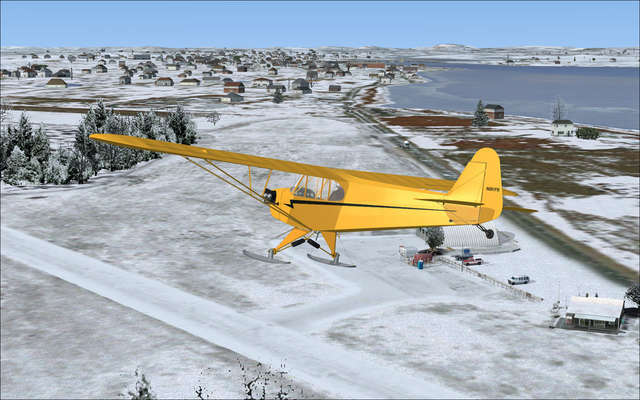 This appears to be the result of some systems not liking the tailwheel contact points. 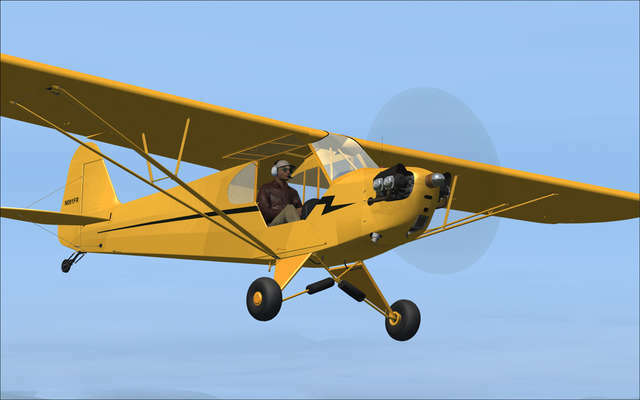 There is an easy fix available here. 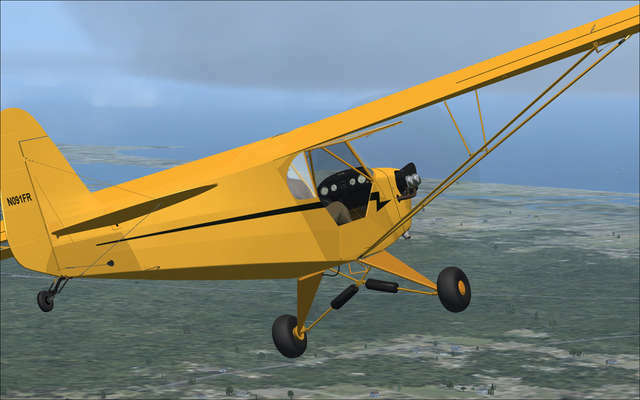 If your Cub does not bounce unnecessarily on the ground, do NOT use this new aircraft.cfg! 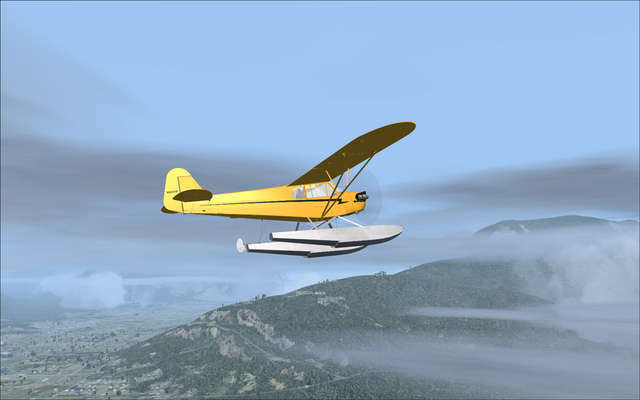 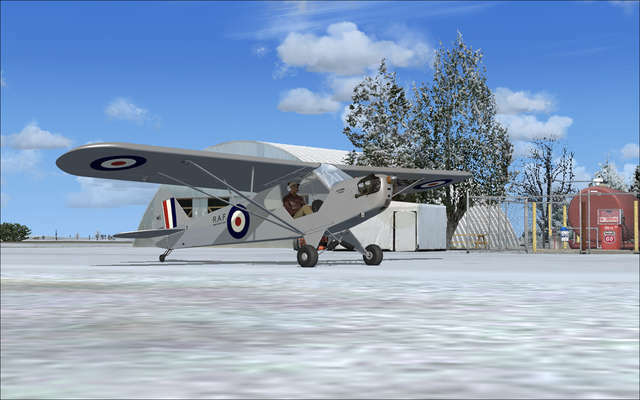 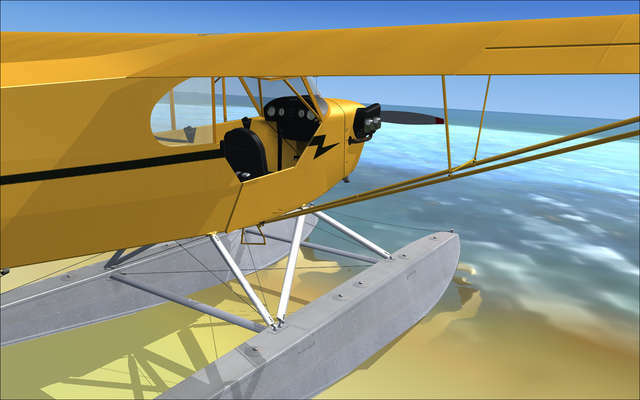 This Flight Replicas package for FSX and P3D brings you one of the most popular GA aircraft of all time in four models - wheels, floats, skis and also the 1941 'Flitfire' model. 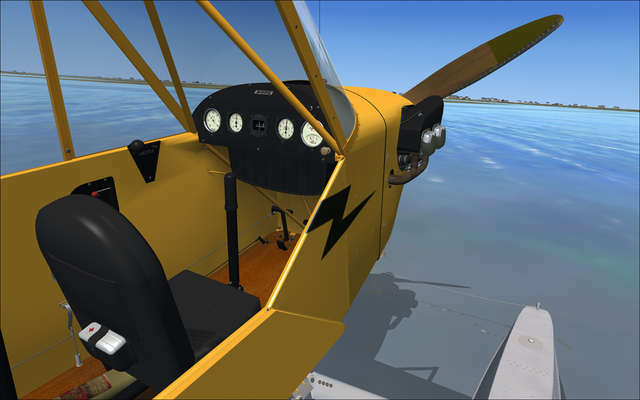 Seven paint schemes are provided and features include fully clickable VCs, hand-held radio, GPS and transponder 2D panels, animated pilot and accurate flight dynamics.